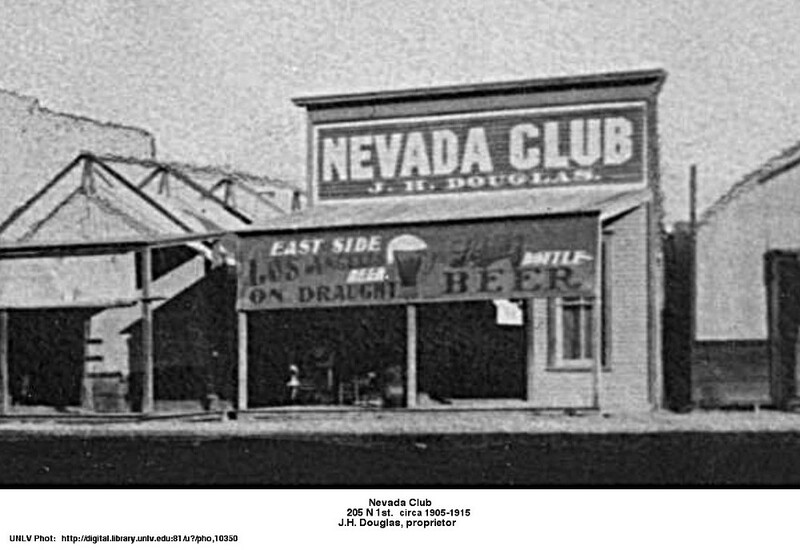 The Nevada Club shown below was one of the first bars in Block 16 at the beginning of Las Vegas around 1905. The more famous Nevada Club on Fremont Street opened nealry 50 years later. In the 1930's through 1953 there was also a Nevada Bar at 115 N. 1st St.